Our best recommendation is for an open-air bath in natural surroundings. 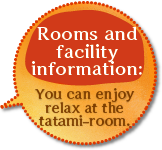 There are different styles: 7 baths in the men’s onsen and 9 baths in the women’s onsen. You will enjoy the beautiful nature, the change of the seasons, and the seasonal weather all at the same time. We have different types of rooms. 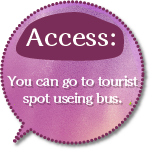 Guests may choose different types of rooms to fit their preference. For a more economy style stay, you can choose basic accommodation. The restaurant is located in the forest, which is rich in natural elements at the back of the onsen. 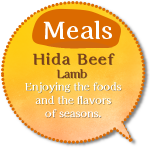 We highly recommend that all guests enjoy a meal at this restaurant. There is a spacious and double height room restaurant Ankiya 10minits walk. We recommend for family and guests. We have nature and spa and also sking grounds, camp site. You can enjoy nordicwalk in the summer, snowshoe in the winter. You can go to an idyllic valley high up and the most famous alpine sightseeing destination the Norikura and Kamikouchi by shuttle bus for the duration of season. It`s takes 2 minutes walk. 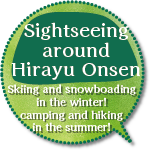 There are many other transport services in Hirayuonsen, and connecting to Okuhidaonsengou,Shinhodaka Ropeway. Direct connection from Tokyo, Toyama, Matumoto, Takayama.